With one in eight women in the U.S. being diagnosed with breast cancer during her lifetime, many people you know will be or already have been affected by breast cancer. This includes teachers, coaches, staff, administrators, parents, family members, and more. 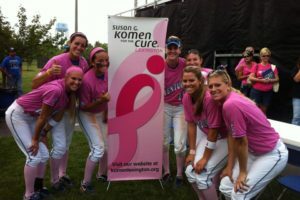 Whether students put on an event to raise breast cancer awareness, to celebrate current survivors, or to honor those who have lost their battle, the event can give them an opportunity to come up with creative ways to contribute to the mission to end breast cancer, and help spread the word that people can, and should, take charge of their health. Pink Out for the Cure is a fundraising program designed for students, schools, and athletic programs. 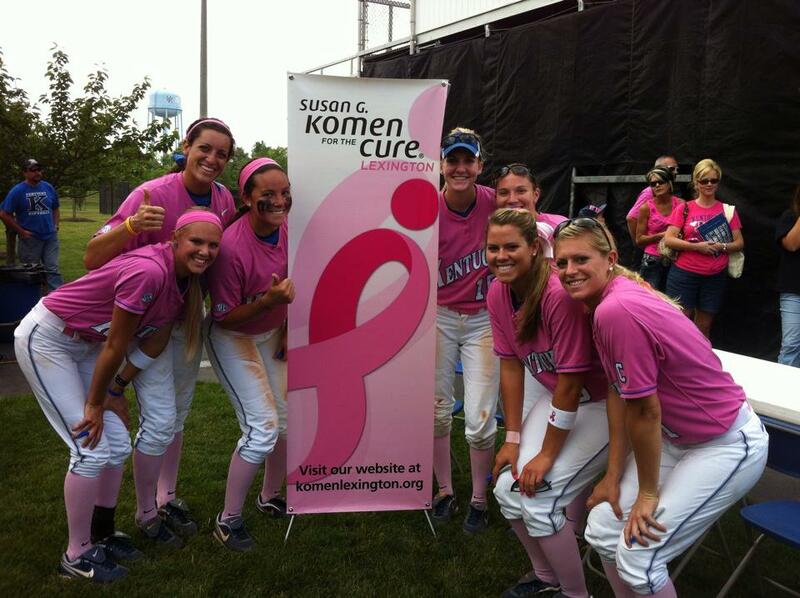 This program empowers students to fundraise for Komen Kentucky, educates parents, faculty and teammates about the importance of breast health, honors breast cancer survivors and memorializes those lost. To get a complimentary copy of our Pink Out for the Cure toolkit, register your school here. The toolkit contains a lot of great ideas on how to “Pink Out” your school, plus a number of fundraising ideas. It also has sample messages you can share with your attendees/participants, as well as links to Komen educational materials that you can print and distribute, if you need them. For other questions regarding hosting a Pink Out event, please email events@komenkentucky.org or call: (502) 495-7824. Please send any event pictures to: events@komenkentucky.org, along with a recap of your activities so we can feature your event on social media and in future handbooks!